Love peanut butter? 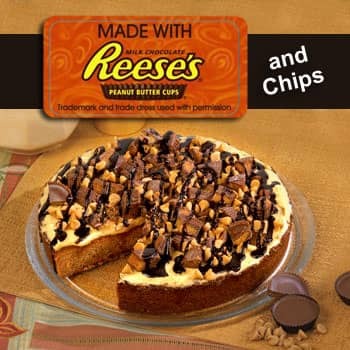 This deep dish peanut butter cookie cake is topped with Reeses Peanut Butter Cups, Reeses chips and chocolate drizzle. Sink your teeth into a slice of our one of a kind, deep dish cookie cake. 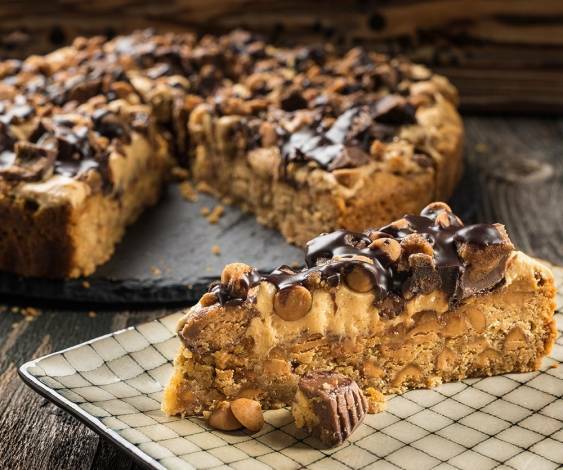 This peanut butter and Reeses® creation is a combination of a giant cookie that's over an inch thick and a topping of genuine Reese's Peanut Butter Cups, Reese's chips and a chocolate drizzle to finish it off. The cookie cake is a full 10 inches in diameter, over an inch thick and serves 16.